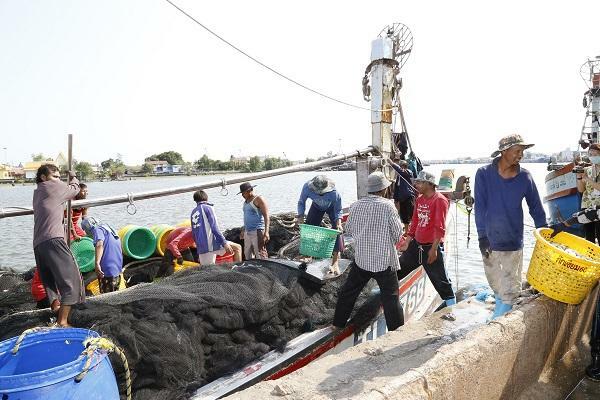 Thailand has approved the new Regulation of the Department of Labor Protection and Welfare on Labor Inspection and Criminal Proceedings, according to the Ministerial Regulation on Labor Protection in Sea Fishing Work, B.E. 2561 (2018). The new regulation, which entered into force on 26 June 2018, is intended to enable the labor inspections and criminal proceedings in sea fishing to be conducted more swiftly and effectively. The labor inspectors in 22 coastal provinces are now obliged to inspect the employment of laborers in the sea fishing industry, which includes inspecting employment conditions through workers’ interviews, and examining documents pertaining to the employment contract, wage payment, workers’ registry, and the record for the provision of leisure times, as stipulated in the mentioned ministerial regulation. The inspections are to be carried out at the Port-in Port-out (PIPO) Control Centers, at ports and fish markets, on the fishing vessels while at sea, or at seafood processing plants. If an employer fails to comply with this ministerial regulation, the labor inspectors will issue an order to the employer commanding the malpractice to be rectified within a set timeframe, and/or to report to the competent officials to proceed with administrative sanctions and criminal proceedings, subject to the severity of the wrongdoings. Furthermore, the competent officials will begin criminal proceedings immediately for any offences involving human trafficking or child labor, offences that impact the vast majority of workers, and repeated offences. In this regard, any vessel convicted of labor malpractices will be categorized in the risk group, ranked by severity of the offence. The vessels in the risk group will be subjected to more frequent random inspections, during Port-in and Port-out and while at sea, than ordinary vessels. This newly issued regulation will be used as a guideline for the labor inspectors to improve accuracy and uniformity of practices. It will also enhance the effectiveness of labor protection within the fishery sector, and enable more speedy prosecution of any offences, thus laying a firm foundation for Thailand’s readiness prior to the ratification of the International Labor Organization (ILO)’s Work in Fishing Convention (C188) which is scheduled for completion in 2018.